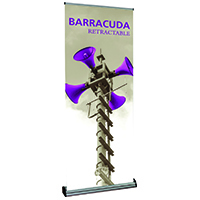 The Orbus Barracuda 920 Retractable Banner Stand is a Premium Display solution that will add visual impact to your events! 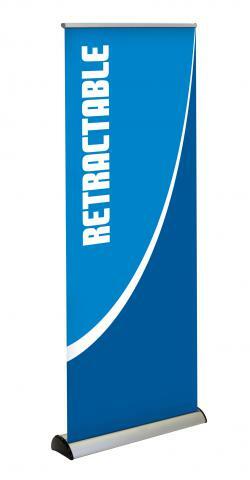 The 35.5" width allows this banner stand to get message noticed! The overall height is adjustable from 60.5" high to 83" high, allowing this unit to be used in many ways, including on a table or counter top. 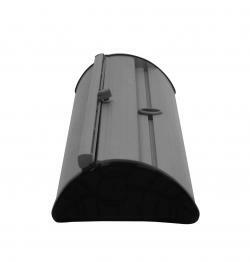 Barracuda's base hardware is available in Silver, offers a telescoping pole, and comes with a padded carrying bag! 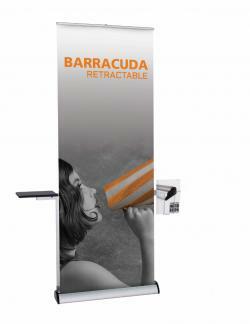 The Barracuda Retractable Banner Stand is an eco-friendly product choice!